So, I’m back from OzCon International, which was pretty Oz-some. It’s kind of disappointing that it’s over, but nice to get home again. 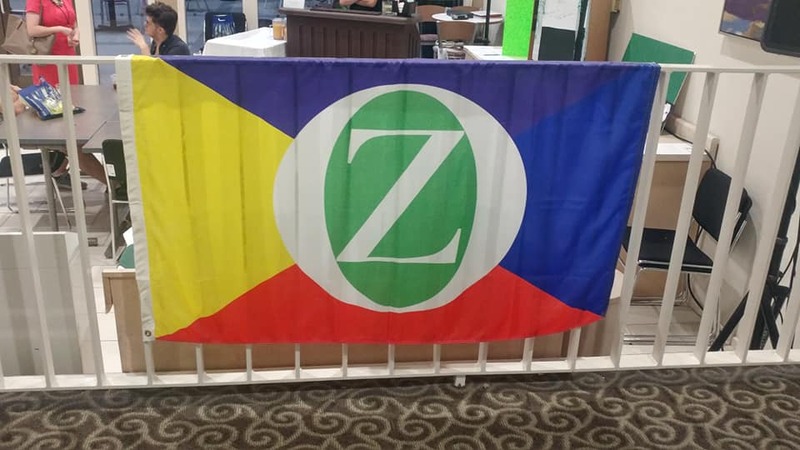 When I first started going to Oz conventions, it was often one of the few chances I got to socialize with anyone outside my immediate family, so I was kind of depressed at the end. That’s less common now, probably mitigated somewhat by: 1) being married, and 2) having the Internet, and even keeping in touch with other Oz fans. 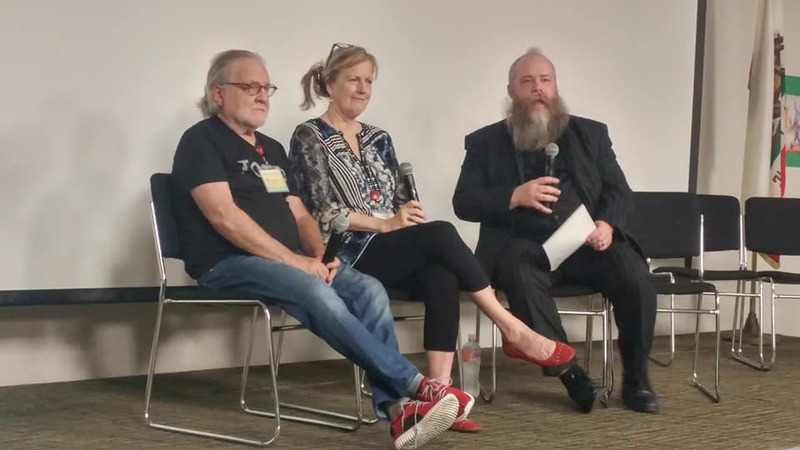 Still, I feel like I probably talked some people’s ears off (I wonder if that ever literally happens in Oz), both as a panelist and otherwise, so I apologize if that’s the case. I’m really shy, but once I start talking I tend to monopolize the conversation. Anyway, this year’s convention was in Pomona, California, a state to which I’d never been before. I tried to count, and it’s the nineteenth state I’ve been in, which averages out to less than one state for every two years of my life. If I keep this up, I’ll have to live past one hundred to visit all of them. I hate travel, but I like to have been places, if that makes any sense. The little I saw of California was pretty fascinating, and I wouldn’t mind going back there sometime when I’m not as busy and it isn’t one hundred degrees outside. The hotel was on the Cal Poly Pomona campus, on a hill that was confusing to get down from. Fortunately, I didn’t often need to, but when I was really hungry and there was nothing available at the hotel, it took me forever just to find a place that sold muffins (the campus bookstore). Anyway, I got in Thursday evening, and the programs started at 11 AM on Friday. There were often two programs going on at the same time, and this meant there were a few I was interested in that I had to miss, but I’m mostly satisfied. J.L. Bell discussed what he saw as the main themes of The Tin Woodman of Oz, the main focus for this convention. 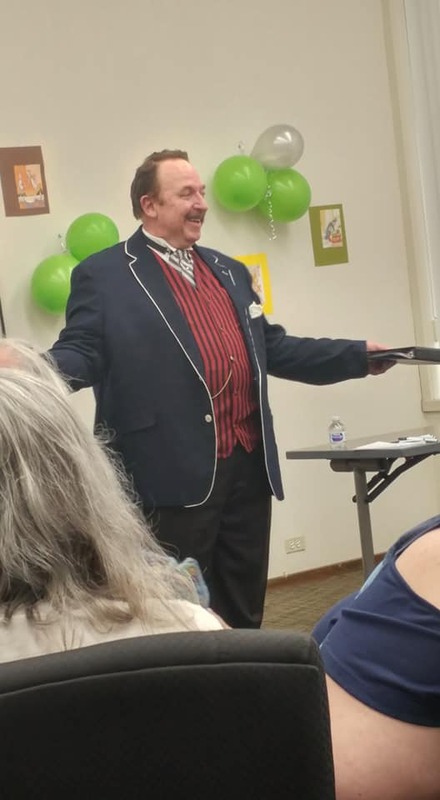 Then I saw Raymond Wohl do a shortened version of his one-man show as L. Frank Baum. It seemed basically accurate to what I knew of Baum’s life, although he did stick in quite a few jokey references, many to the MGM film. He’s a very engaging performer. 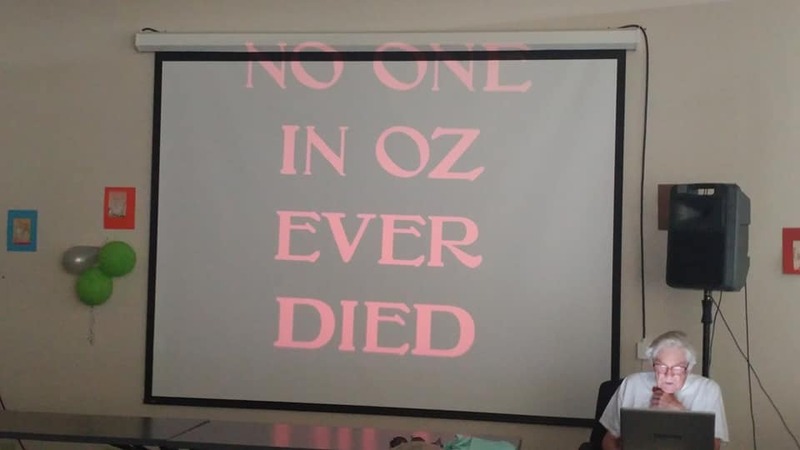 Judy Bieber did a talk on the strong women of Oz and how some of them were…not necessarily weakened, but had their strengths de-emphasized over time. I’ve written before about how there are occasions when Baum DID reinforce traditional gender roles in his Oz books (not in a prescriptive manner, just in making the male characters more active and forthright), with Dorothy and the Wizard in Oz being particularly notable in that respect. The first panel I was on was about The Lost Tales of Oz, a new anthology of Oz stories to which I contributed. After that, the contributors who were there signed some copies, so that was the first time I’ve ever autographed anything. The official release date is the twenty-first, but there were advance copies there. 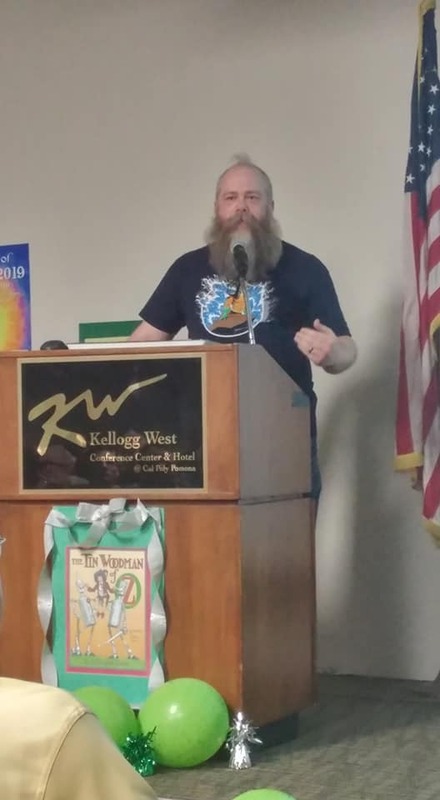 The evening program had Andy Mangels discussing Filmation’s Journey Back to Oz, which had some big-name voice actors but wasn’t ultimately that successful. Dina Schiff Massachi, with whom I shared a shuttle from the airport, previewed her talk on the Tin Woodman and emotional intelligence. 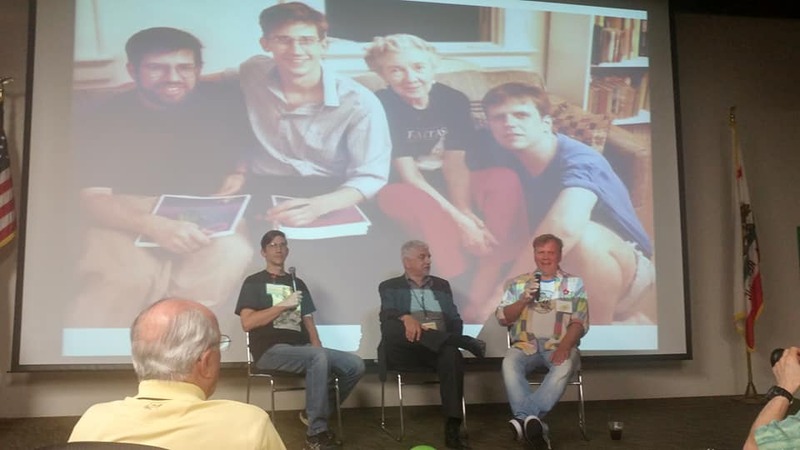 Then Eric Shanower and David Maxine interviewed Robert Payes about his mother, Rachel Cosgrove Payes, in a session that became very emotional in spots. James Ortiz talked about the puppetry in his work The Woodsman (which was performed twice at the convention, but not at times convenient for me; I believe it’s on Amazon Prime, however), and demonstrated how complicated the process of working puppets can be. 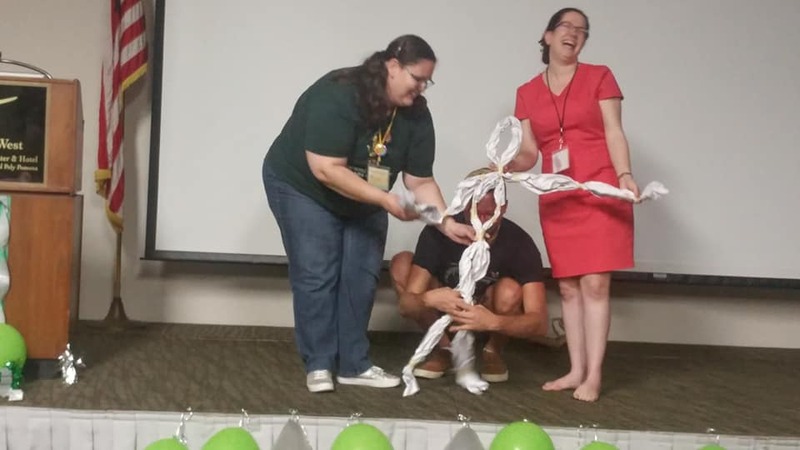 The last bit of the night was “Ku-Klip’s Workshop,” a skit based on that episode of Tin Woodman with added jokes, in which I played Woot the Wanderer. I hope someone has pictures of that. Saturday’s program opened with the costume contest. I used to dress up pretty much every year back in the day, usually getting my mom to help me make the outfits, but I haven’t been in recent years. I should probably get something together for next year, but I say that every year. There were some great costumes this year, including Susan Hall as Tommy Kwikstep being gradually disenchanted by Polychrome, Colin Ayres as a clumsy Scarecrow, Caitlin Masters as Mrs. Yoop complete with birdcage and stuffed bear, Erica Olivera as Jellia Jamb, and people whose names I can’t remember (you can help me out if you know them) as Til Loon, a gender-bent Dorian Gale, and an original character from Loonville. After that came the quizzes, and I did not win this time, although I think I did get a few answers no one else did. I DID, however, win second place in the fiction contest for a story I submitted. Opposite the auction, Dina did her full talk. Eric Shanower later discussed how different artists drew Nick Chopper, including how John R. Neill’s take was less realistic than W.W. Denslow’s, but became more iconic. 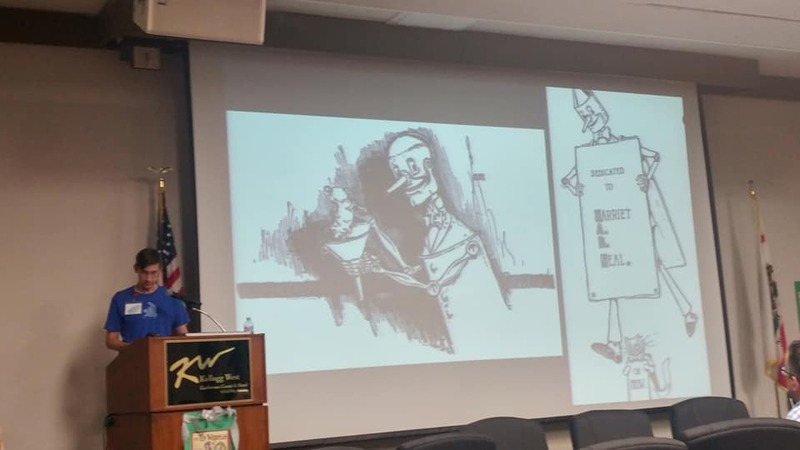 The evening program ran a bit late, but we did get to see an interview with Ray Bolger’s niece and Jack Haley’s grandson and an exploration of Hollywood as it looked when Baum lived there. I participated in a game where contestants had to guess the names of Oz-related characters from hints, and some of those names were incredibly obscure. I think Prissy Pingle might have been from the stage play The Woggle-Bug; and the audience was particularly amused by Lesba, who’s apparently a Brazilian character in Baum’s The Fate of a Crown. I don’t know that this was ever a real name; and while I get that “gay” and “queer” (both words Baum used a lot) have changed in common meaning over time, but “lesbian” (to mean a gay woman rather than a resident of Lesbos) appears to date back to 1870. There was a karaoke session after that, and I joined in on performances of “The Jitterbug” and the Munchkin segment from the MGM movie. 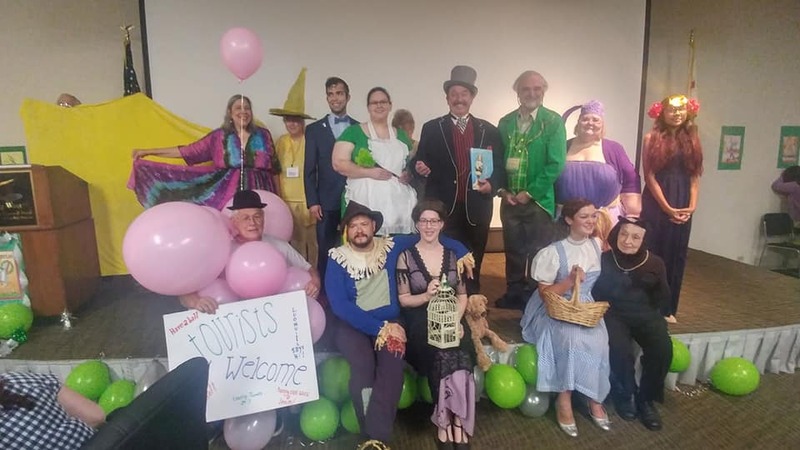 On Sunday morning, Angelica Carpenter and a few others did a panel discussion of marriages in Oz, a pretty interesting topic, and one that post-Baum authors sometimes treated a bit differently. Robin Hess did a talk on resolving contradictions in the Oz series. 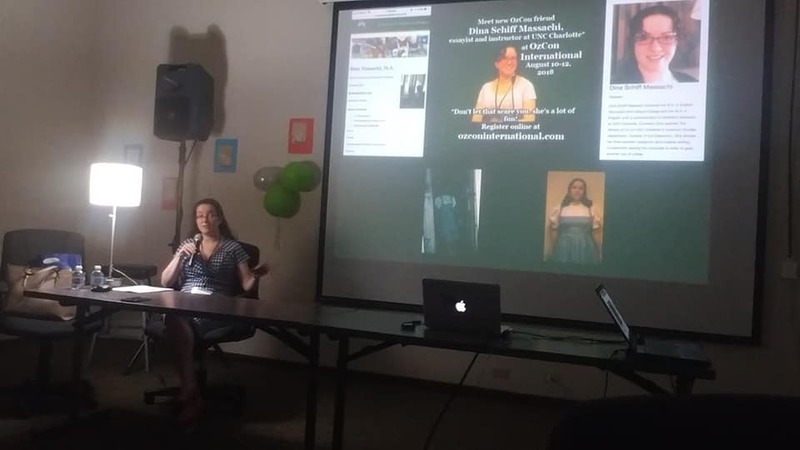 After lunch, I was on a panel responding to that and talking about other continuity issues, along with J.L. Bell, Anil Tambwekar, and Judy Bieber. I had to leave soon after that. They’re actually doing an unofficial Disney Day at Disneyland today, but while I’d like to go there, I didn’t think I could swing the cost, and didn’t want to go alone. (Yeah, I know I’d know other people there, but I mean in terms of having someone to ride the rides with. If Beth had gone, I might well have attended this.) I hope to make it again next year, but it’s too soon to tell. This entry was posted in Art, Cartoons, Characters, Eric Shanower, Feminism, Games, History, Humor, John R. Neill, L. Frank Baum, Live Shows, Music, Oz, Oz Authors, Rachel Cosgrove Payes and tagged andy mangels, angelica shirley carpenter, cosplay, david maxine, dina schiff massachi, filmation, j. l. bell, jack haley, james ortiz, jellia jamb, journey back to oz, judy bieber, lesba, loonville, mrs. yoop, ozcon international, polychrome, prissy pingle, puppetry, ray bolger, raymond wohl, robert payes, robin hess, scarecrow, the fate of a crown, the lost tales of oz, the tin woodman of oz, the wizard of oz (1939), the woggle-bug, the woodsman, til loon, tommy kwikstep, w. w. denslow, woot the wanderer. Bookmark the permalink.